1. Saute’ ground beef with 1/8 tsp fine salt for 8 minutes or until desired doneness. Set aside. 3. 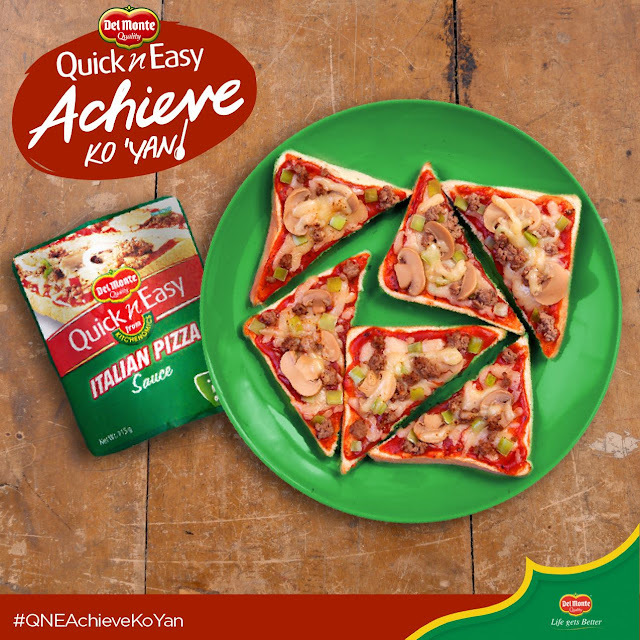 Spread Del Monte Quick ‘n Easy Italian Pizza Sauce generously over bread. 4. Top with cooked meat, bell pepper, mushroom and cheese. 5. Toast or bake for another 2 minutes or until the cheese melts. Serve.